For 1Hz to 1KHz input range, we design a VCO to cover 10Hz to 10KHz, with some extra range on each end. 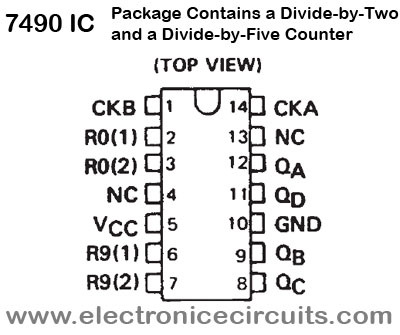 the VCO output is divided by 10 and then compared to the input signal using the wideband phase detector. 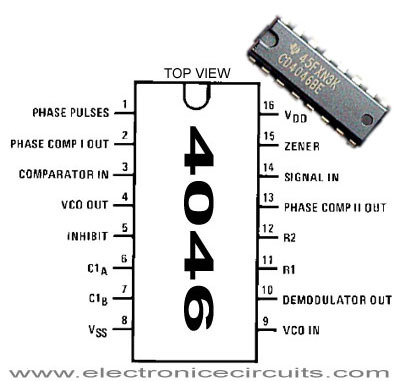 The phase-detector output goes to the loop filter and then reaches around and closes the loop by running the VCO. 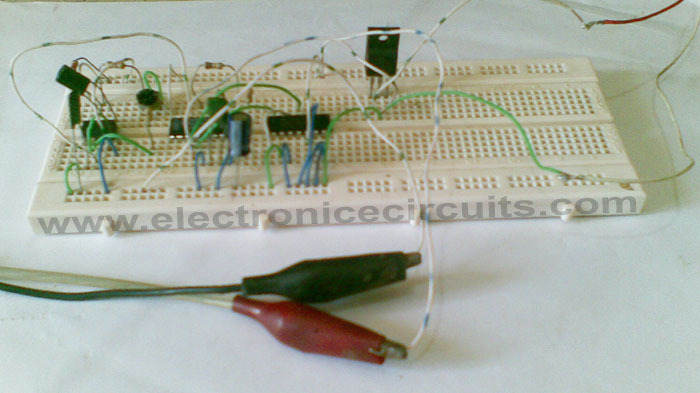 In this circuit, the CD4046 is set up so that the VCO operates at 10Hz 10 10KHz. 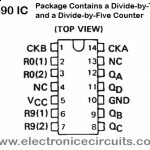 The output pin (4) is fed back to a ÷10 counter. 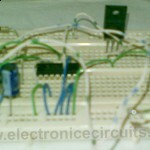 When the input frequency is 1/10 the output, lockup will occur. 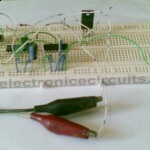 Is this circuit also for audio signals?? the cap across the batetry is a tank it is there to assur that the ripple current is not affected by the internal resistance of the batetrythe cap across the 7805 is a discharge cap, and it reduces ripple voltage Was this answer helpful? 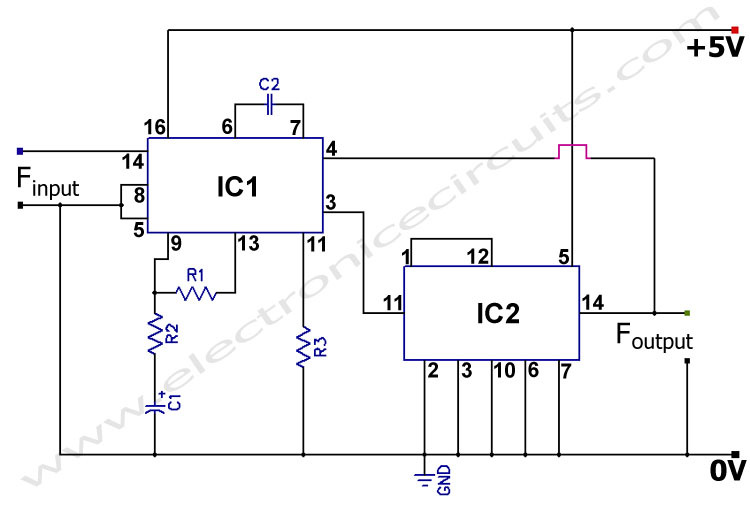 Will this circuit operate on +12V as well? 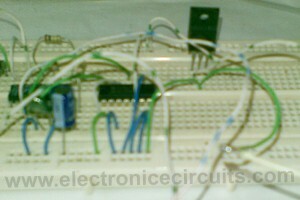 isn’t it posible when Finput is pluse circuit? Is it possible to this diagram somewhere put potenciometer or something like that to make input signal not 10 times bigger but 2, 3 times.. it would the best if it can be variable with potenciometer.